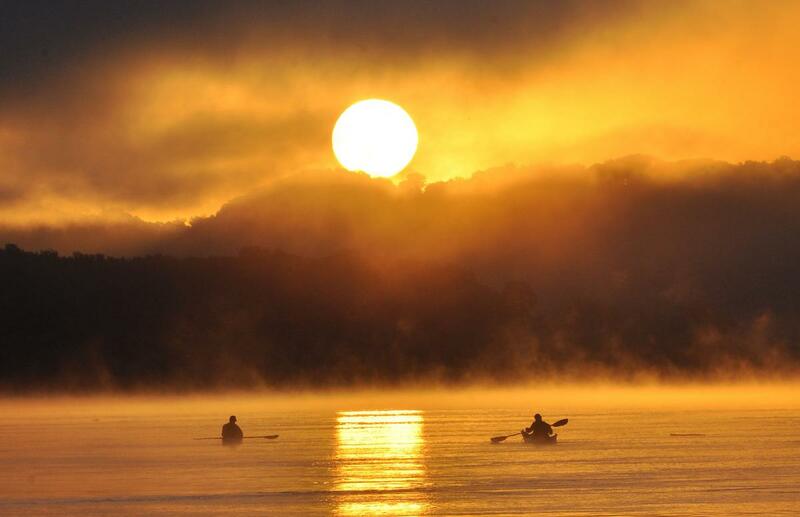 Missouri River 340 kayak and canoe race participants begin their fourth and final day of the 2016 event, departing the Klondike checkpoint at sunrise. The MR340 is billed as the longest non-stop endurance paddling competition in the nation. Competitors have up to 88 hours to complete the race from Kansas City to St. Charles. Dave Marner has been a journalist since 1979 when he began stringing sports and taking photographs at the age of 17 for the suburban Chicago Wheaton, Ill. Daily Journal while still in high school. 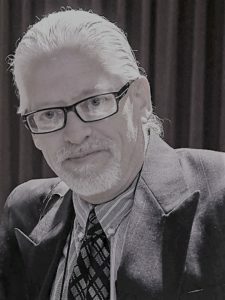 He studied photojournalism at the University of Missouri while attending from 1980 through his 1986 employment at The Fulton Sun, where he was a staff photographer. After leaving the Sun in 1989, he worked briefly at The News Tribune and Capital Daily News in Jefferson City and then with The New Haven Leader and The Hermann Advertiser-Courier. In 1992, he joined the staff of The Gasconade County Republican, a weekly newspaper in Owensville as the sports editor. He now serves as managing editor and has been responsible for general news coverage through writing, editing and photojournalism. In 2017, he helped Warden Publishing launch a new weekly newspaper, The Maries County Advocate. Throughout his career, he has won numerous awards for his photography and other journalism work, as well as helped other journalists to better understand the concepts behind good photography. He has worked with local high school yearbook journalism and vocational-agriculture instructors and their students on writing and photography projects, and he has taught photography courses through the local school district. 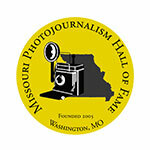 While studying photojournalism at Mizzou, Marner worked as a darkroom technician for the Missouri Photojournalism Workshops in Mt. Vernon (1983) and Forsyth (1984). He helped print the Forsyth exhibit at Cliff and Vi Edom’s home. Marner also participated in shooting the Poplar Bluff (1985) and Fulton (2002) workshops. © Missouri Photojournalism Hall of Fame 2019.